If you thought 2010 was a year of challenges, hang on to your hat. Get ready to deal with a revised and more stringent food safety bill giving more powers to the Food & Drug Administration (FDA), more encompassing food guidelines to combat obesity, a child nutrition reauthorization bill mandating healthier school meals, higher commodity prices, stronger private-label competition and new consumer behaviors. Whew! And that's just the beginning. Our state of the industry report covers a lot of ground. Click on the following links to be directed to the specific section of our report. Two of the biggest changes to the food industry in 70 and five years, respectively -- even though they were in the works for more than a year -- went right down to the year-end wire. The biggest revision to the country's food safety rules since 1938, the Food Safety Modernization Act was approved by both houses of Congress in December, with the House approving it – for the third time – on Dec. 21. President Obama promised to sign it into law. It will strengthen the nation's food safety systems and will give the FDA for the first time the authority to recall foods. It also should result in the hiring of 2,000 additional FDA inspectors over the next four years, with its $1.4 billion in new costs being picked up by the larger food industry. And the every-five-years rewriting of the Dietary Guidelines for Americans, which was not published by our pre-Christmas press deadline, is all wrapped up except for some final signoffs by USDA and Dept. of Health and Human Services (HHS) officials. The Dietary Guidelines' effect on diet and the processing industry is slow but undeniable. While they haven't (yet) reversed our obesity epidemic, the regular revisions may claim some of the credit for decreasing cancer rates, and past recommendations for folic acid may be reducing neural tube defects in newborns. They've increased our awareness of fiber, whole grains and probiotics and turned the whole populace away from trans fats, saturated fats and cholesterol. But more on those landmarks in a minute. "There are seismic shifts going on in consumer habits, and that is one of the greatest challenges for food processors in 2011," says Dexter Manning, partner and national food & beverage practice leader of Grant Thornton LLP, a Chicago-based accounting and advisory firm. "They must try to figure out what changes, what R&D spend, they need to make in order keep up with, or to get ahead of, the changes in consumer preferences being driven on several fronts. "During the recession, consumers were challenged in the way they shopped and whether they went out to eat," he explains. "In the last two years, there has been a battle at the supermarket between ‘How do we save money and reduce our spend on food?' and ‘How do we get better-for-you food?' "
Manning points out that during 2008-2009, private label sales were very strong. "At the same time, sales of some of the higher-priced organics and healthy foods bucked the trend for lower prices; growth slowed during that period but did not turn negative," he says. "Overall, in supermarkets you see more variety of organics and healthy foods than ever before." Frugal spending habits consumers developed during the recession appear to be deeply ingrained, as shoppers continue to be careful with food spending, according to the third annual consumer spending survey by New York-based Booz & Co., a global management consulting firm. In 2010, 28 percent of the 2,000 respondents reduced food-at-home expenditures, up from the 23 percent who reduced their food spending in 2009. Only one-third of consumers expect their financial situation will improve this year, and 37 percent of frugalistas are trading down with less expensive brands, according to the survey. Only 15 percent plan to spend more in discretionary categories, and only the most optimistic (10 percent) say they will trade up in brands. Private label penetration in the supermarket has grown from 15 percent before the recession to more than 18 percent of total sales in 2010. 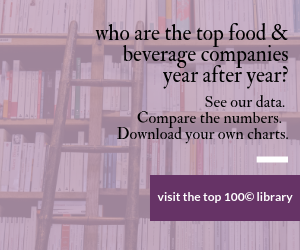 As the economy improves, private label sales are expected to remain strong, and branded consumer packaged goods may find it difficult to regain lost market share. "The new frugality that consumers reported last year -- one that requires trade-offs between price, brand and convenience -- has become dominant and ingrained behavior in several categories," says Nick Hodson, partner with Booz & Co. "Consumer products companies and retailers need to monitor and understand the evolving behaviors of different consumer segments and respond to each, category by category. Going back to business as usual is not an option." We started to write about the new Food Safety Act a year ago. Slightly different versions of an FDA and/or Food Safety Modernization Act were passed by both houses of Congress late in 2009. Bipartisan support and a sense of urgency over then-recent food safety issues seemed to ensure its swift passage into law. Then health care, the economy and a host of other issues got in the way of reconciliation of the two bills. Even after those issues were cleared, amendments banning bisphenol-A (BPA) and exempting small farms and small businesses from the act complicated things for what became Senate Bill 510. So did Sen. Tom Coburn's (R-Okla.) threats to kill it, based apparently on the facts that it (kind of) does increase the size of government and does require new funding. It got approved and reapproved and tossed between both houses since Thanksgiving but, long story short, it now seems destined to become law. President Obama had not signed it as of our pre-Christmas press deadline, but he promised he would. Perhaps the biggest point in the act is one that shocked most Americans: The FDA did not have the authority to order a recall of suspected tainted food. That loophole is no longer the case. "Product Tracing — The U.S. Food and Drug Administration (FDA) will be required to establish a comprehensive product tracing system to track the movement of food products effectively from farm to point of sale or service. As IFT pointed out in a report issued to the FDA, a product tracing system would make it possible to identify the source of foodborne illness outbreaks earlier as well as contain the outbreak faster. "Performance Standards — In order to continually reduce the risk of contaminants in foods, the Secretary of Health and Human Services will identify and determine the most significant foodborne contaminants and develop science-based guidance to assist food producers. As a result, action levels (performance standards) will be set in place to encourage the food industry to strive toward a safer food supply. "Third Party Certification — Designated imported foods will now need to be certified by a third party with expertise in food safety and under the oversight of the FDA. This will enable the FDA to maximize resources and increase the number of product inspections to better ensure the safety of imported foods. "Preventive Control Plans — Food manufacturing facilities will be required to develop and implement written plans based upon science that evaluate hazards that could affect the safety of food; identify and implement preventive controls; monitor the performance of these controls; and maintain records of such monitoring." The Centers for Disease Control estimates that each year roughly one out of six Americans (or 48 million people) gets sick, 128,000 are hospitalized and 3,000 die from foodborne diseases. Another last-minute piece of regulation was the 2010 Dietary Guidelines for Americans. USDA and HHS were rushing to finish the final document by the mandated year end, so we haven't seen it yet. But it should mirror last summer's draft, which suggested slashing sodium, reducing fats and added sugars and upping Americans' intake of plant-based foods. Shift food intake patterns to a more plant-based diet that emphasizes vegetables, cooked dry beans and peas, fruits, whole grains, nuts and seeds. In addition, increase the intake of seafood and fat-free and low-fat milk and milk products and consume only moderate amounts of lean meats, poultry and eggs. The committee recommended a gradual reduction in sodium intake to 1,500mg per day from the 2,300 mg recommended in 2005, as well as limiting dietary cholesterol to less than 300mg per day (with a further goal of less than 200mg per day for persons at risk for cardiovascular disease or type 2 diabetes). The reduction in sodium was foreseen, as nearly every leading food processor already has announced reformulations that take sodium out of their processed foods. The DGAC strongly recommended USDA and HHS convene committees, potentially through the Institute of Medicine, to develop strategic plans focusing on the actions needed to successfully implement the recommendations. As mandated by Congress, the Dietary Guidelines are reviewed for revision every five years (since 1980). The Food Guide Pyramid, called MyPyramid in recent years, will likely receive a facelift, as well. The 2010 committee notes in its introduction that this year's report "addresses an American public of whom the majority are overweight or obese and yet under-nourished in several key nutrients." Potassium, in particular, was singled out as being a shortage in the average diet. A large part of the new Dietary Guidelines will be devoted to the issue of childhood obesity. Michelle Obama has made it her pet project as First Lady. And as complaints from the Federal Trade Commission, Federal Communications Commission and Institute of Medicine over the past two years indicate, much of the blame is being laid on the food & beverage industry. The problem is on everyone's radar – many call it our nation's biggest health crisis. According to the Centers for Disease Control, 6.5 percent of children ages 6-11 were obese in 1980. By 2008, the obesity rate for this group rose to 19.6 percent, meaning almost one out of every five American children is considered obese. The food & beverage industry already has responded with reformulations and changes in marketing tactics. But more is on the way – and the industry set a 2015 deadline for itself. Last May, 16 food & beverage processors, who make up the Healthy Weight Commitment Foundation (HWCF), pledged to introduce lower-calorie options, lower the calories of current products and reduce single-serve portion sizes, all in an effort to reduce the calories customers consume by 1.5 trillion calories by 2015. The signatories were Bumble Bee Foods, Campbell Soup Co., Coca-Cola, ConAgra Foods, General Mills, Hershey, J.M. Smucker Co., Kellogg, Kraft Foods, Mars, McCormick & Co., Nestle USA, PepsiCo, Post Foods/Ralston Foods LLC, Sara Lee Corp. and Unilever USA. New pressure also is coming from Washington. On Dec. 2, the House passed S. 3307, the Healthy Hunger-Free Kids Act, aka the Child Nutrition Reauthorization Bill, by a vote of 264-157 (the senate passed it unanimously in August). Some 31 million children participate in the subsidized school meal program, which is funded by the bill. The program includes school breakfasts, lunches, after-school meals and summer programs. The federal government gives schools $2.72 for a fully subsidized lunch. The bill, primarily written by Sen. Blanche Lincoln (D-Ark. ), who lost her bid for re-election, provides an additional $4.5 billion over 10 years -- the first time funding has been increased in 30 years. It provides more than 20 million additional after-school meals annually to children in all 50 states, and increases the number of children eligible for school meals programs by at least 115,000. The legislation increases the amount of money schools are reimbursed by 6 cents a meal -- but according to the School Nutrition Assn., the average school loses 35 cents on every lunch it serves. Standards for foods and beverages sold will be created by the USDA, which has the authority to banish any foods (with the exception of those sold at fundraisers) that do not comply with the Dietary Guidelines for Americans. That will mean limits on fat, sugar and salt in cafeteria foods; vending machines will be stocked with less candy and fewer high-calorie drinks; and for the first time, free drinking water must be available where meals are served. Schools must also serve more fruits and vegetables, whole grains and low-fat dairy products. And New York – both city and state – came close last summer to passing a penny-per-ounce tax on full-calorie sweetened beverages – whether the real motivator was childhood obesity or balancing budget shortfalls. The concept may not be dead in the Empire State, and several other states looked longingly at the potential revenue. "One of the trends we saw in 2010 is the consolidation of food companies," says Manning. "Any company that was highly leveraged going into the year had a very hard time. They didn't have enough money to invest in R&D, so were ripe for picking for the stronger companies." That's what happened to Pilgrim's Pride, the country's largest poultry processor: Brazilian meat processor JBS SA bought a 64 percent stake (recently increased to 67 percent) to help Pilgrim's Pride emerge from Chapter 11 bankruptcy. Grupo Bimbo SAB de CV is in the process of closing on the bakeries of Sara Lee Corp. And a Wall Street Journal report in December alleged JBS was angling to buy all of Sara Lee. But it wasn't just highly leveraged companies. Cadbury PLC seemed solid, even after its 2007 split from Schweppes – but Kraft still swooped in for a $19.6 billion game-changing acquisition … which supplanted Mars and its 2008 purchase of Wm. Wrigley Jr. Co. as the world's largest confectioner. What it all comes down to is: borrowed money is still cheap, credit is more available and wheeling and dealing is back on. The Food Institute, which annually tracks mergers & acquisitions, recorded 214 deals in 2009, down from 378 in 2008. Although it was too soon to count M&A's from 2010, lower interest rates and seemingly more solid economic footing, at least for some companies, set the stage for deals to increase. "As we saw in the Food Processing Top 100, in 2009, sales were down, but profits were up," continues Manning. "The reason is that once the commodities spiked in 2007, companies reacted quickly to cut costs before the recession hit. As they went into the 2008-2009 recession, they benefited from these cost reductions." Looking at 2011 from a financial standpoint, Manning adds, "Companies are getting stronger; there will be more consolidation of the ones that are not. With the credit market thawing, we are seeing more opportunities to buy other companies, so [mergers and acquisitions] will continue to be strong." "Swiftly rising input costs have put packaged food companies in a situation where margins are being squeezed," said Judi Rossetti, senior director at Fitch Inc., a New York- and London-based global ratings agency. "It will take time for price increases implemented by the food companies to catch up with the commodity cost inflation they are already incurring." It certainly is taking time. A late-November report from USDA's Economic Research Service projects the consumer price index (CPI) for all food to increase 0.5-1.5 percent in 2010 — the lowest annual food inflation rate since 1992, says the agency. Food-at-home (grocery store) prices also were forecast to increase 0.5-1.5 percent, while food-away-from-home (restaurant) prices were predicted to rise 1-2 percent. The all-food CPI increased 1.8 percent between 2008 and 2009. "Although inflation has been relatively weak for most of 2009 and 2010, higher food commodity and energy prices are now exerting pressure on wholesale and retail food prices," wrote ERS in the report. "Hence, food inflation is predicted to accelerate during the final months of 2010 and the first half of 2011, leading to a forecast of 2-3 percent food price inflation in 2011." Prices of sugar have move sharply higher in the final weeks of 2010. There's been a rally in corn and soy complex futures prices reflecting USDA production reports, which estimate smaller than anticipated crops. As a result, the most recent stocks-to-use ratio for corn in 2010-11 was projected at a paltry 6.2 percent, down from 13.1 percent in 2009-10. With prospects for an extremely tight carryover, corn futures prices surged, peaking recently above $6 a bushel for the December contract, and trading was extremely volatile. Rising input costs will challenge food companies even more because of the continuing weak economic environment. Consumers are not likely to be as receptive to the higher retail prices as they were prior to the recession, according to Fitch, which expects volumes will be impacted negatively and consumer switching to private label substitutes to be prevalent. Even with price increases and cost-cutting initiatives, packaged food companies are not likely to retain the margin improvement they attained early last year. But the price increases are under way. In our November news story General Mills, Kraft and Nestle already were hinting at price increases, and Unilever and ConAgra joined the list shortly after our report. In its third quarter financial report, Kraft Foods said "base business organic net revenues" grew 2.5 percent, driven by 2.3 percentage points from pricing. As we mentioned before, private label/store branded food & beverage products enjoyed the recession, rising from 15 percent before the economic meltdown to 18.7 percent of total sales in 2009 – $55.5 billion -- and that number is expected to rise when 2010 is tallied. Further, those numbers were in dollar sales. In terms of unit share, private label holds 23.7 percent of the market. Both dollar and unit levels are record highs, according to the Private Label Manufacturers Assn. Store brands accounted for 90 percent of all revenue gains in supermarkets, adding $1.5 billion in new sales (up 2.9 percent), while national brands were virtually flat (up 0.1 percent), according to PLMA. Moreover, the decline in national brand units suggests even their modest sales gain of $200 million was a result of price inflation. As executives at TreeHouse Foods, our Processor of the Year, pointed out in our December issue, those numbers are still well below private label penetration figures for most European countries. So plenty of opportunity remains. There appears to be no going back to the dominance brands once enjoyed – not by the supermarkets, who make more profit on their own-brand items, and not for consumers, who have discovered private label's lower prices, similar quality and, now, rising innovation in product development and packaging. There also may be no going back to supermarkets for some shoppers. According to Willard Bishop Consulting, traditional grocery formats lost 0.8 percent of market share to drop to 47.5 percent of all grocery shopping. Gains were recorded within the traditional grocery format by limited-assortment stores, led by Aldi and Trader Joe's (up 6.2 percent to 2.4 percent market share), and fresh format stores (up 1.9 percent to 0.8 percent market share). Outside the grocery format, big gainers were supercenters (up 7.8 percent to 16.7 percent market share), dollar stores (up 16.8 percent to 2.0 percent market share) and drug stores (up 6.8 percent to 5.5 percent market share). Wholesale clubs lost ground. Supermarkets are becoming take-out restaurants for many consumers. Shoppers' interest in supermarket ready-to-eat foods hit a four year high at 55 percent, according to Arlington, Va.-based Food Marketing Institute (FMI). The categories they are most interested in are: freshly prepared, heat-and-serve food to take home (up 47 percent); made-to-order sandwiches (37 percent); extensive salad bar (37 percent); and prepared hot food buffet (34 percent). Focus on health and wellness is on the rise again as a point of differentiation for retailers, according to FMI. Pre-recession, the vast majority of retailers described its impact on their marketing and merchandising as profound. In 2010, 74.3 percent of retailers said it is one way they seek differentiation in the marketplace, up from 68.4 percent in 2009, but below the 84.9 percent in 2008. Perhaps that indicates retailers' efforts in health and wellness are subject to price and value in the current marketplace. Grocers are addressing health and wellness in their stores in a number of ways, including: promoting healthy items from both fresh and dry grocery; educating consumers on nutritional values of food products; and marketing healthy products and events with a team of registered dietitians in the community and through media outlets. It seems every business category is dealing with the subject of China in some way. In the food & beverage industry, it cuts both ways; three, in fact. According to the USDA's Economic Research Service, the Chinese purchased more than $14 billion worth of U.S. food in 2009, surpassing Mexico and Japan to become the second-largest destination for American food exports behind Canada. That's a doubling of U.S. food purchases by the Chinese in just three years. There is no other country whose appetite for U.S. food exports is growing faster than China's. On the other hand, China also is the third largest source of U.S. agricultural and seafood imports, according to the USDA's Economic Research Service. U.S. imports of Chinese agricultural and seafood products increased roughly fourfold, from $1 billion in 1997 to $4.9 billion in 2007. In 2009, seafood imports from China accounted for 517 thousand metric tons or 22 percent of the total U.S. imports, and 25 percent of whole fish imports now come from China. In 1978, China accounted for 14 percent of frozen fish filets; just 30 years later, it accounted for 49 percent. Produce imports from China grew from $2 million in 1998 to almost $75.4 million in 2009 and China was the second largest source of U.S. preserved vegetable imports in 2007, with a total import share valued at 20 percent. China's capital investment in processing facilities helped to achieve its export status. A great illustration is its apple juice concentrate exports. In 1998, Chinese fruit juice exports to the U.S. were valued below $30,000; in 2009, these imports neared $357 million, making China the largest exporter of fruit juices, mainly apple. Today, two-thirds of our apple juice comes from China, wrote Supermarket Guru Phil Lempert. China also has become a significant ingredient supplier to the U.S. As we reported in our February 2008 report, Ingredients from where?, some 80 percent of the world's ascorbic acid comes from China. So is 40 percent of the world's xanthan gum. That cover story of ours came after several 2007 food contamination incidents that occurred or originated in China. A four-month crackdown in that country resulted in the closure of 3,191 unlicensed and substandard food and ingredient makers, the seizure of 4.9 million tons of banned pesticides, prosecution of corrupt government officials (including at least one execution) and a government pledge to spend $1 billion on food safety over the coming two to three years. China now has track and trace, and the FDA has opened offices in that country to ensure the safety of food and ingredients destined for America.